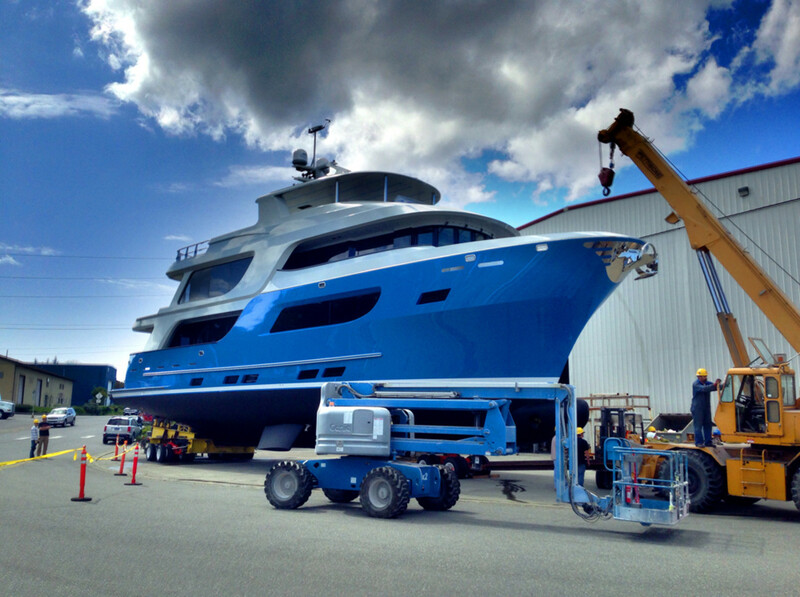 New World Yacht Builders LLC, the Anacortes, Wash., company that does business as Northern Marine, commented on the disastrous May 18 launch of a new custom 90-foot expedition yacht. During the launch of the $10 million yacht, named Baden and built for an owner who planned to circumnavigate the globe, the boat capsized onto its port side and settled to the bottom of the launch area. Six people aboard escaped serious injury, but one man was trapped inside and had to be cut out through the hull. The Coast Guard is investigating the accident. The builder said it considers the launch accident an exception. “Since the accident, the project naval architect/professional engineer has confirmed that the yacht, as designed, had adequate stability with the amount of ballast aboard at the time of launch, provided that ‘severe heeling moments’ were not induced during the launch,“ the statement said.